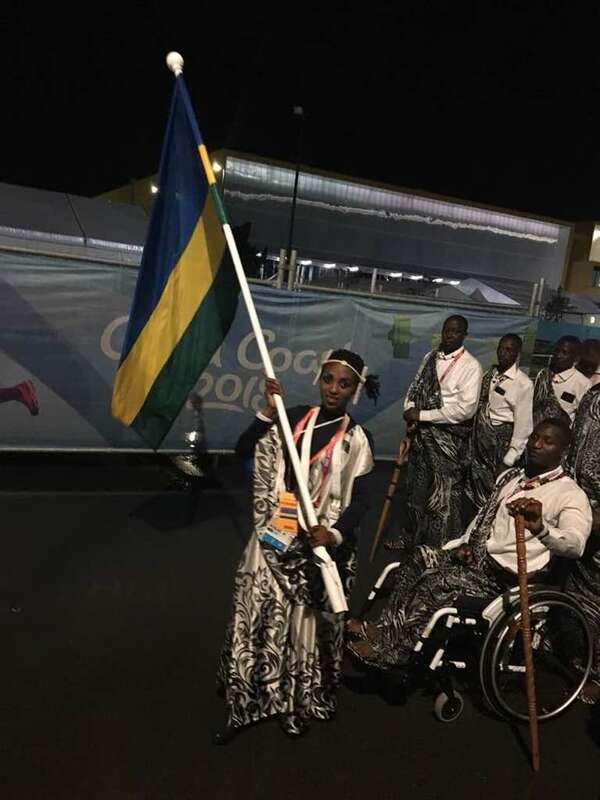 Rwanda’s long distance runner Salome Nyirarukundo led out Team Rwanda at 2018 Commonwealth Games athlete procession on Wednesday. The Gold Coast Commonwealth Games began on Wednesday with a spectacular opening ceremony paying tribute to the area’s Aboriginal history. Held at the Carrara Stadium in front of 35,000 fans, the ceremony featured more than 4,000 performers including 500 local children, a didgeridoo orchestra and hundreds of Aboriginal Australian dancers, as well as many Gold Coast lifesavers. Australian singers Delta Goodrem and Dami Im performed. Prince Charles, attending with the Duchess of Cornwall, read out a message of goodwill from the Queen, which had been carried to the Games inside a baton, as he officially declared the Games open. The procession matured with the Queensland Symphony Orchestra and the Queensland Youth Orchestra playing songs until Rwanda came on just ahead of Nigeria and Kenya. Nyirarukundo hoisted Rwanda’s flag high as she rhythmically bounced along the tunes with the rest of the team following. Salome Nyirarukundo, a 10,000 metres runner, headlines Rwanda’s athletics team for the Games, due to run from April 4 to 15. The 20-year-old finished 27th in the event at the 2016 Olympic Games in Rio de Janeiro. 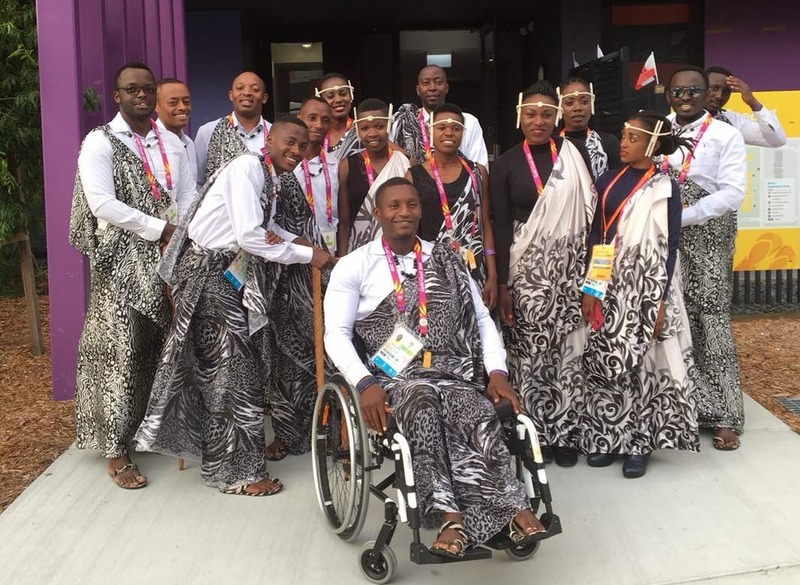 She was joined by marathon runner Alexis Nizeyimana, 5,000m competitors Christopher Tuyishime and James Sugira, Beatha Nishimwe, who competes at 1,500m, and 800m athlete Alice Ishimwe, Beach volleyball team members Charlotte Nzayisenga and Denise Mutatsimpundu and Paralympian Vedaste Niyonzima. The Cycling team was not part of the opening ceremony as they have been fine-tuning locally in Rwanda ahead of the event. Led by Joseph Areruya, the reigning Tour du Rwanda champion, Valens Ndayisenga, Jean Paul Ukiniwabo, Jean Claude Uwizeye, Bonaventure Uwizeyimana, Didier Munyaneza, Beatha Ingabire and Magnifique Manizabayo will depart for Australia on Thursday. Rwanda will be represented by 17 athletes to this year’s Commonwealth Games in Gold Coast. The squad, selected by the Rwanda National Olympic and Sports Committee, will compete across four sports – athletics, beach volleyball, cycling and Para power-lifting – at next month’s event. The procession of 6,600 athletes from 71 countries and territories was led by the last Games’ host nation, Team Scotland. Young members of lifesaving clubs along the coast led out each team, holding surfboards bearing that country’s name. Team England, third out, was led by flagbearer Alistair Brownlee, a champion triathlete. The ceremony kicks off 11 days of competition in the 21st Games. Members of the team will be hoping to secure the country’s first Commonwealth Games medal of any colour. Rwanda have competed at the previous two editions of the multi-sport event – in New Delhi in 2010 and in Glasgow four years later. The country joined the Commonwealth of Nations in 2009.